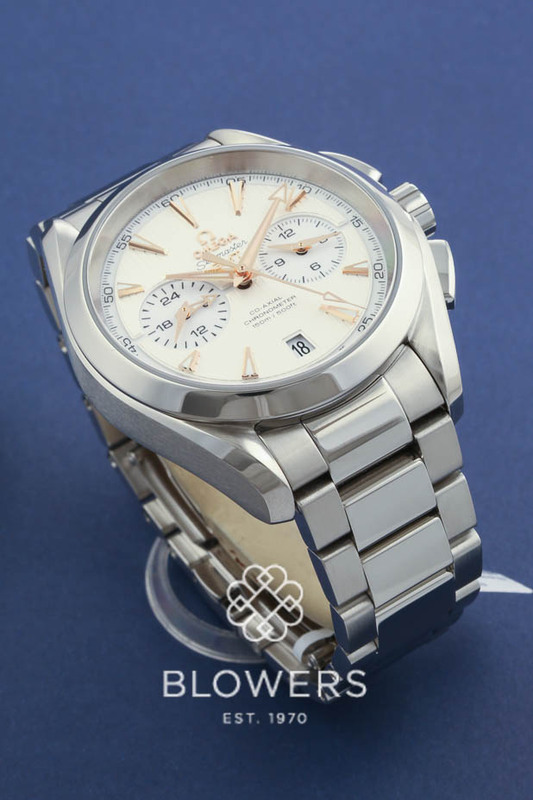 Steel Omega Seamaster GMT Chronograph. 231.10.43.52.02.001. 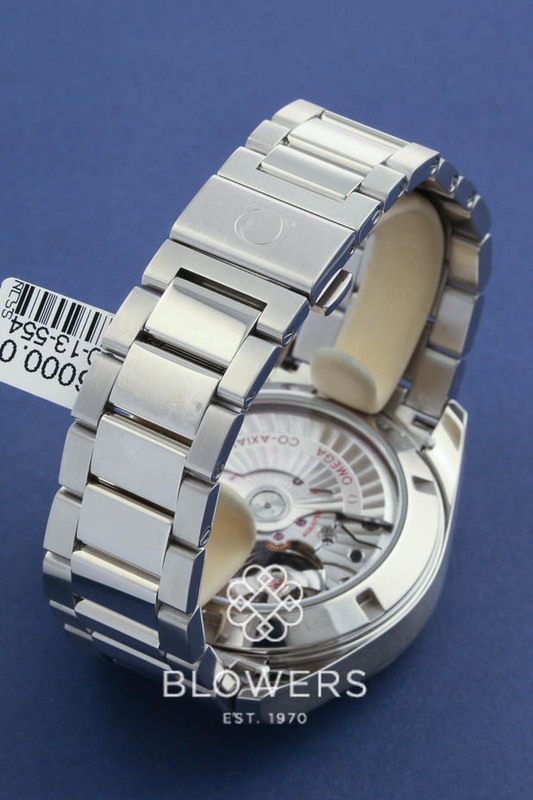 Case diameter 43mm. Water resistant to 150 meters. Automatic Omega Calibre 9605 chronograph movement, power reserve of 60 hours. 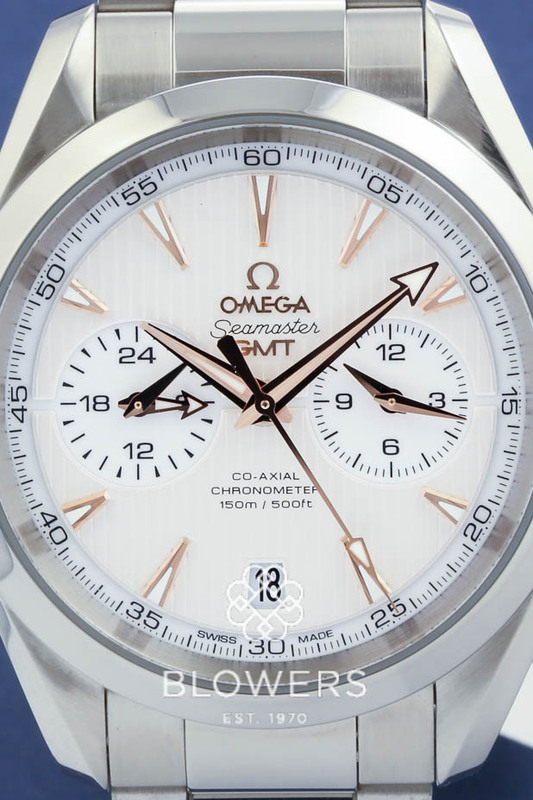 Silver dial with Luminous hour markers and hands. 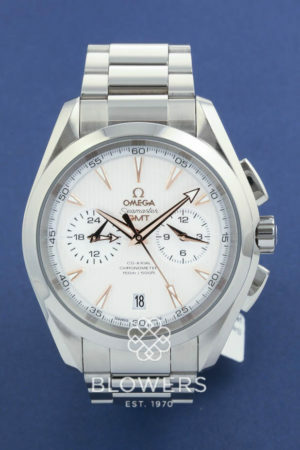 White sub dials, 12-hour recorder at 3 o’clock and a 24 hour sub dial at 9 o’clock position. 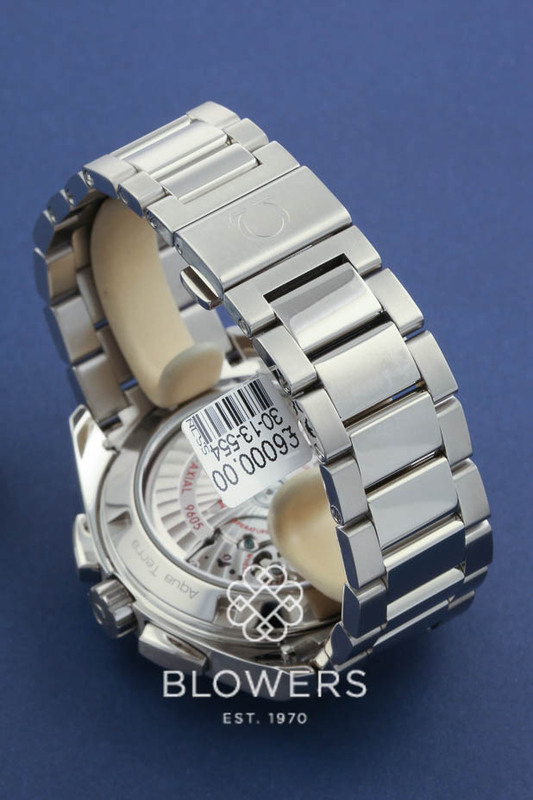 Polished steel bezel. 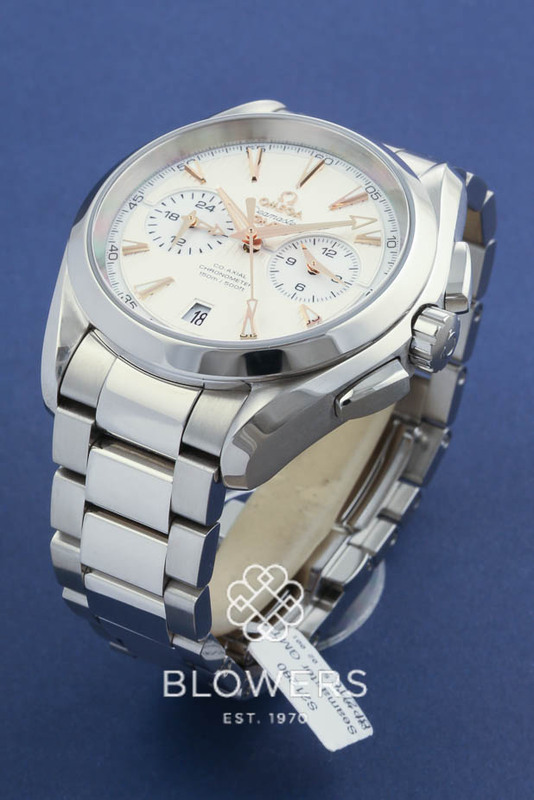 Steel bracelet with deployment clasp. Box and papers dated February 2016 Our reference S21280. SKU: 3013554. 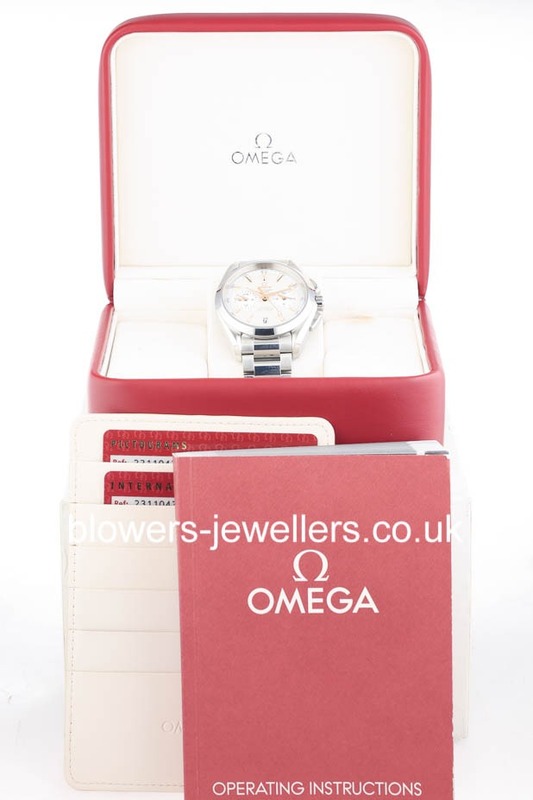 Categories: Omega, Seamaster.